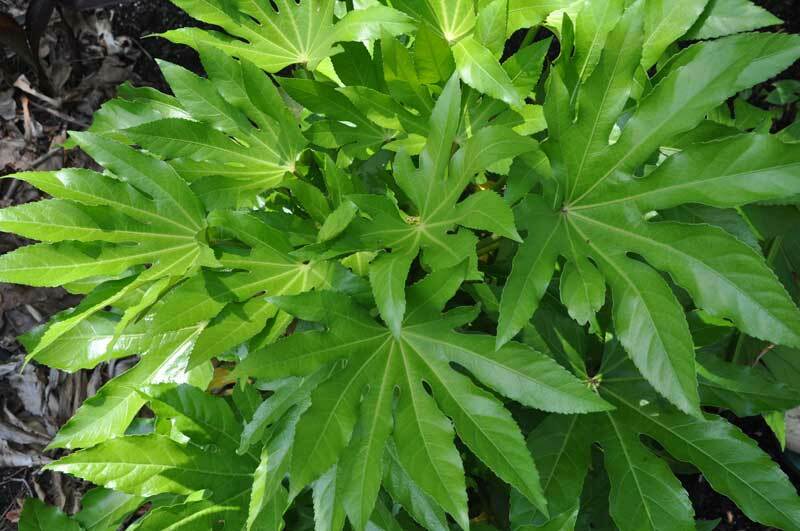 Fatsia is a good courtyard or patio plant. Because of its extraordinary bold landscape effect, it might require a little imagination to figure out how to get the most effect from this plant! The effect is easily diminished by placement too close to other plants that could compete for attention. Fatsia is used in Japanese gardens. It can be striking against a light colored background with a fountain or statuary piece in front, especially at night with illumination.